The new game from Chillingo this time is devoted to a famous superhero, Superman. The game is available now in the App Store. Assume the role of Superman to save the city of Metropolis in a new adventure for the iPhone and iPad! Only we can protect humanity with our incredible powers. Save the Earth is usual for Superman, a day like any other. The new game Chillingo is not a game like so many. It’s a bird, it’s an airplane? No, it’s Superman. You use all the super powers of Superman to save the earth from meteors or satellites, which are quickly falling on the planet. 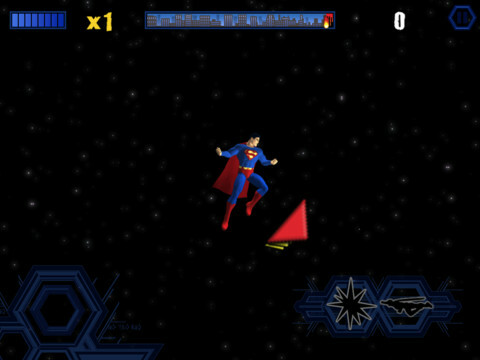 You find 18 levels that will allow to test all the super abilities of Superman. Save Metropolis from the evil genius of Lex Luthor and his army of thugs. Overcome challenges to get more points and unlock a number of goals available. Original story and cartoon-style comic will give you real ‘Superman Experience’. Superman is available in the App Store and is compatible with iPhone, iPod touch. Requires iPhone OS 4.0 or later.